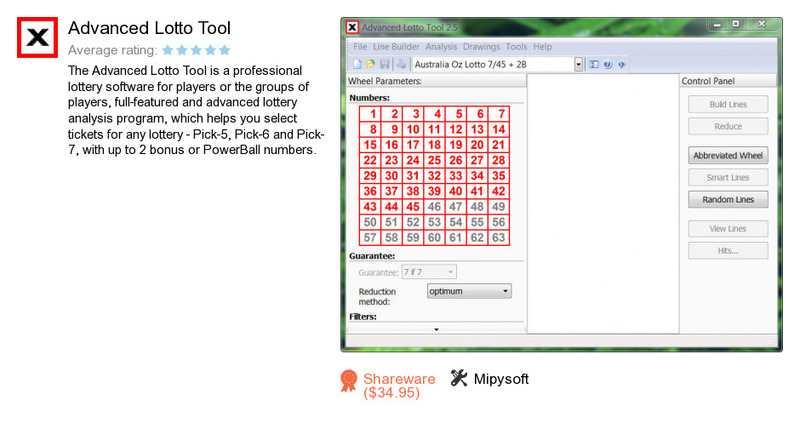 Advanced Lotto Tool is an application developed by Mipysoft. We know of version 2.5. Version 2.5.0.121 is available for free download at our site. Advanced Lotto Tool distributive has a size of 2,247,323 bytes.